Your patio furniture should not only match your personal style but be able to stand the test of time. There are a few things to look for when searching for patio furniture that will last through many Georgia summers. The team at Mid State Pools & Spas can help you find top-quality furniture for your patio! If the patio furniture you’re interested in buying is painted, be sure to ask the sales associate what type of paint was used. The type of paint can make a big difference in how well your outdoor furniture withstands the elements. Whether your furniture is metal, plastic, or wood, make sure it’s properly protected with weather-resistant paint or stain. Do you know what you’re sitting on? It’s a good question to ask to make sure those cushions don’t fade in the sun! Before you buy, make sure your cushion is lined with UV and water-resistant fabric. Check on the filling, too! Pillows filled with polyurethane allow water to follow through easily, preventing the buildup of mold or mildew. Every type of outdoor furniture requires different methods of maintenance. For example, if you are using plastic furniture, rust isn’t a big concern. But if you choose metal or wood, you need to keep an eye out for rust or rot, respectively. Be sure to research the level of upkeep that’s required on your furniture so you can maximize its lifespan. Mid State Pools & Spas has a wide variety of patio furniture perfect for small porches and outdoor spaces. 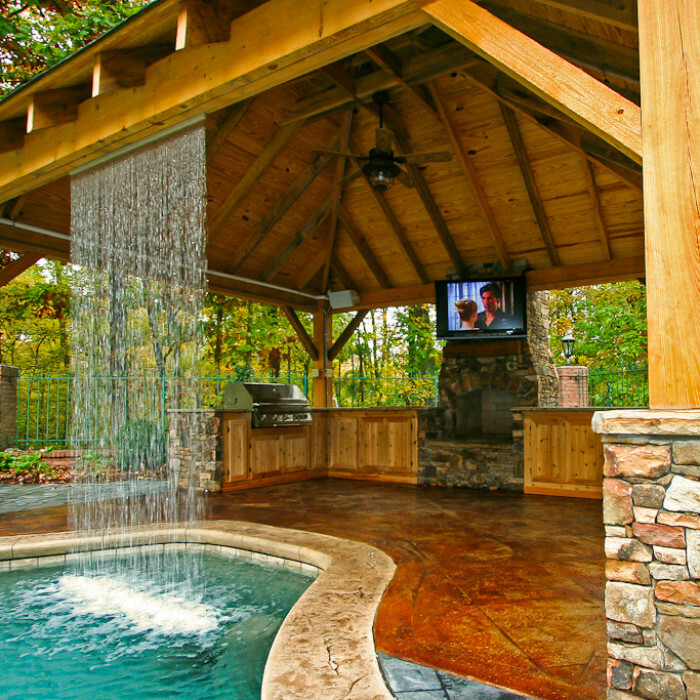 Our outdoor living specialists at Mid State Pools serve customers in Macon, Perry, and Warner Robins. Browse the selection at our Warner Robins showroom at 540 South Houston Lake Road, or shop our merchandise online today!